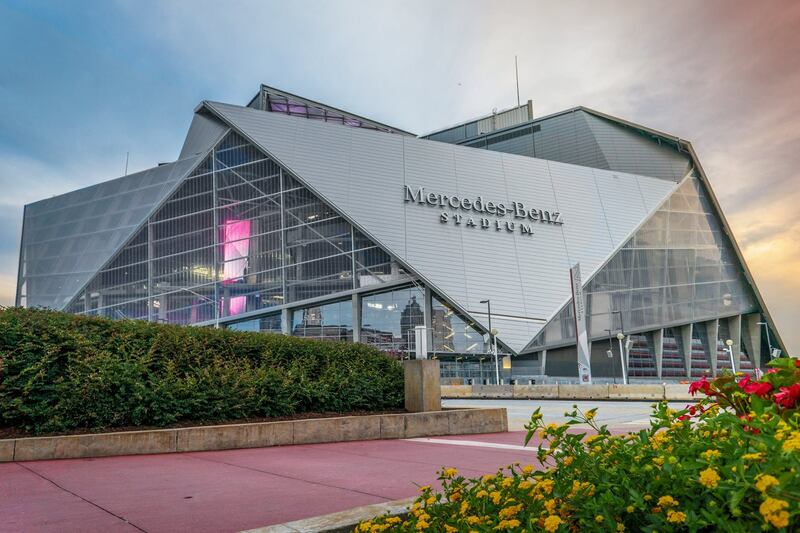 Super Bowl LIII will take place at Mercedes-Benz Stadium on Sunday, February 3, and there will be a flurry of exciting activity here in Downtown Atlanta leading up to this iconic event. As a partner organization of the Atlanta Super Bowl Host Committee, we are committed to helping share information about the event period with visitors and locals alike. Below are high-level answers to Frequently Asked Questions you may have about what to expect over the next few days. Please know that ATLSuperBowl53.com is your official resource and should be regularly checked for the most up to date information. You can also follow @ATLSuperBowl53 on Facebook, Twitter, and Instagram. Where is a schedule of events leading up to Game Day? ATLSuperBowl53.com is your go-to resource for event information. COST: $20 and up. Tickets and pricing available online. WHAT: The national kickoff and media event for Super Bowl LIII festivities, featuring the players and coaches. COST: $29 and up. Tickets and pricing available online. COST: Tickets and pricing available online. What else is there to do while I'm in Downtown Atlanta? Plenty! We recommend exploring the only-in-Atlanta attractions in Downtown’s Centennial Park District, first and foremost. Downtown is home to a variety of eclectic and interesting neighborhoods filled with local flavor. Explore them here. A tour led by a local expert is a great way to get to know our city. Explore tour companies – by bike, by bus, by foot, and beyond – here. It’s strongly recommended that you utilize public transportation or rideshare to get to Downtown, but if you do drive, plan ahead and visit ParkSuperBowl.com for parking maps and resources. I plan to "move like a local" and use public transportation. So, how does MARTA work? Use the Plan a Trip feature to map out your trip from your destination. See if you can drive to and park at a station. Put fare on your Breeze card – roundtrip fare is recommended. Get the Breeze card if you are riding MARTA for more than one day. For a single day, a Breeze ticket is a good option. Download the MARTA on the Go app for real-time bus and rail information, including service alerts. Be patient, plan ahead, and give yourself extra time. Be mindful, too, that MARTA will extend its hours of operation during the event period. Details here. For more information and guidelines, visit MARTA’s website. I live in metro Atlanta and commute to Downtown. What are my transit options if I don't want to drive into Downtown? Great question! If MARTA is accessible to you, see the tips and instructions above. If you are commuting from outside the perimeter, CobbLinc, Gwinnett County Transit, and GRTA Xpress are great options for commuters living near a Park and Ride. For more information about commuting to Downtown during the event period, check out our recent blog post. Can I take Uber or Lyft to game week activities? Yes. Please be aware that there are designated drop-off and pick-up locations for the Super Bowl campus. Which roads in Downtown Atlanta will be closed, and when? A variety of road closures will be in effect during the 10-day event period. View them all here. View the complete Know Before You Go Guide here as you plan your Super Bowl activities!